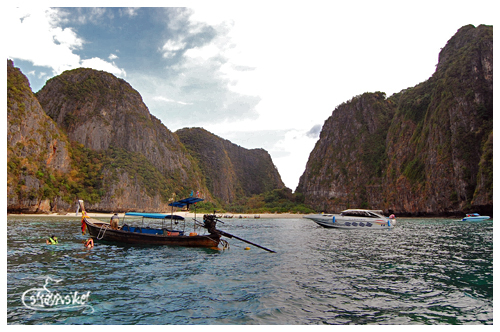 Before heading to our final destination, the boat made a short stop near Phi Phi Ley island. 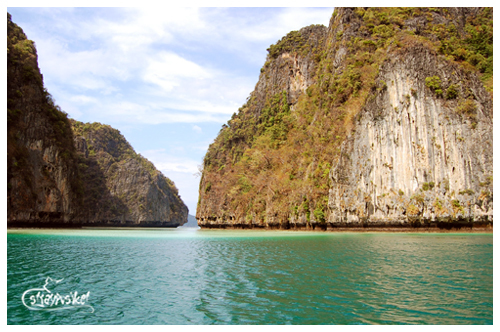 It's the second largest island (Phi Phi Don being the largest) in Krabi province. 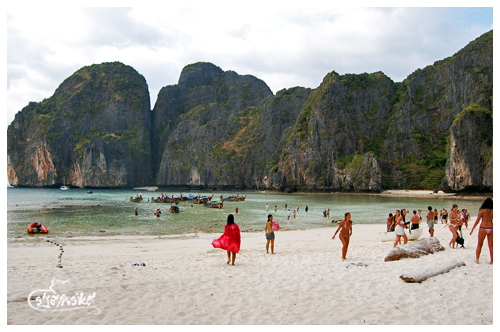 The island is made up of limestone hills surrounding a shallow bay - the Maya bay ,which was made famous by Leonardo Di Caprio's movie, "The Beach". 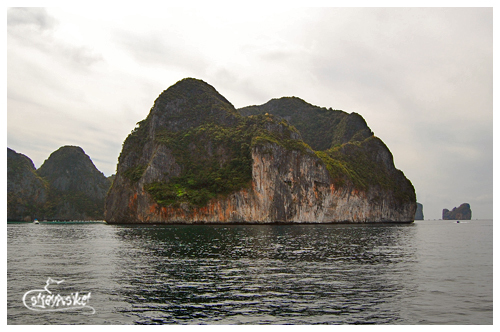 We took some pictures of the limestone cliffs and Maya Bay. We also passed by the Viking cave then the boat started to sail again. After a few moments, we were nearing the Tonsai Pier. 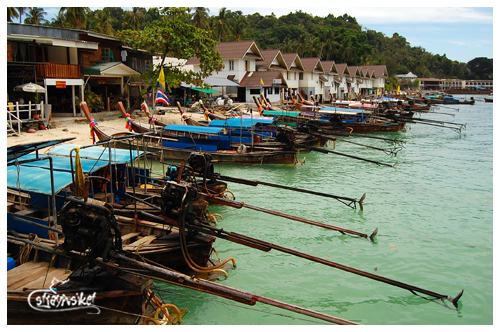 When we arrived at the Pier, the staff of Phi Phi Andaman Legacy were already waiting for us. They grabbed our bags then led us to the hotel. It was a 10 minute walk from the pier. Good thing they served us cold teas and gave us cold towels at the reception. 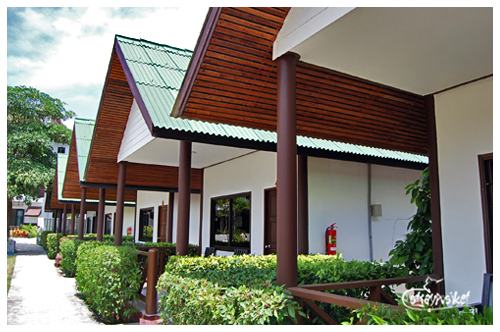 We got the room for only 2,420 Baht (3,388 Php) with buffet breakfast and free use of hotel facilities. 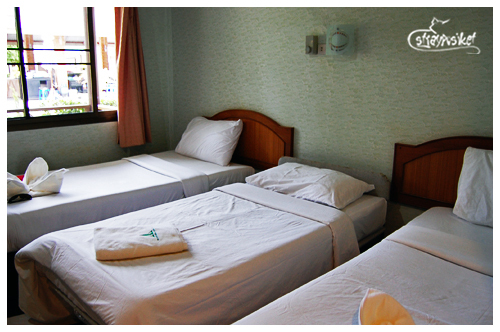 The room is fully air conditioned, with cable tv, hot&cold shower and a safety deposit box. 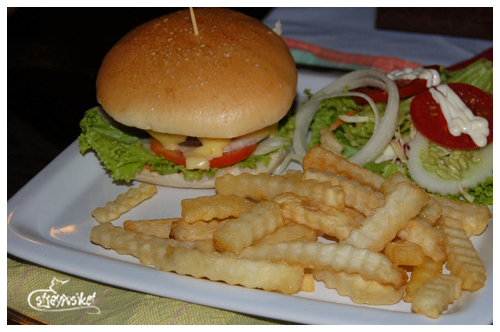 After settling down for a few minutes, we went out to have our lunch and start our island tour afterward. 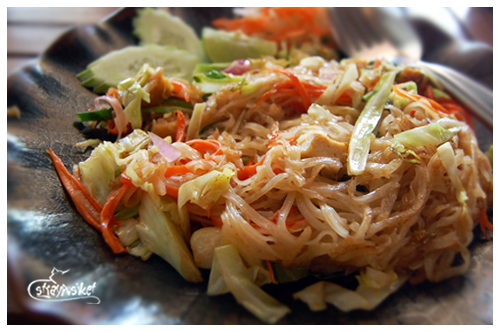 We stopped by a small restaurant in the beach area and sampled one of Thailand's dishes - Pad Thai. 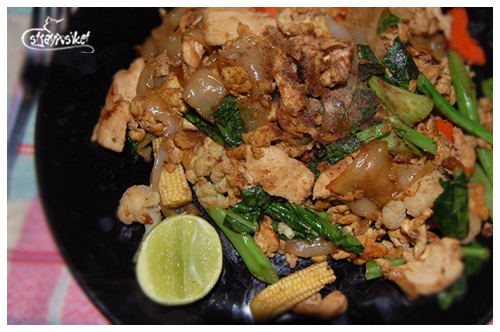 It's a stir-fried rice noodle with egg, tamarind sauce, fish sauce, chili powder, bean sprouts, crushed peanuts, tofu. 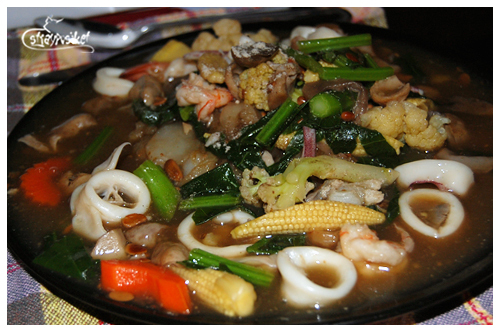 You may choose to put pork, beef, chicken or shrimp. It's one of the best "pancits" I've eaten so far. 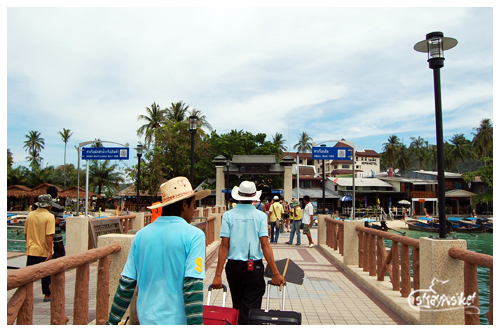 After lunch, we walked around the village to scout for cheap island tours. We were being followed by men offering diving tours and kept calling us "Indonesians", "Malaysians", and "Vietnamese". They never guessed that we are Filipinas. Haha. At last we found a "kuya" who's offering the cheapest island tour. 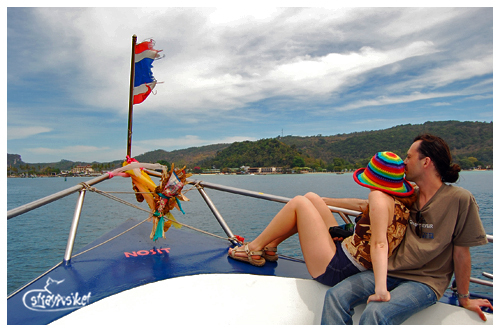 We were able to haggle down the price to 1000 baht for the 3 of us complete with snorkeling gears. 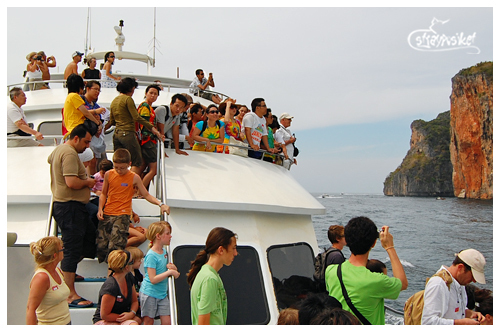 We made sure that we agreed with the price before we hopped on one of the long tail boats. 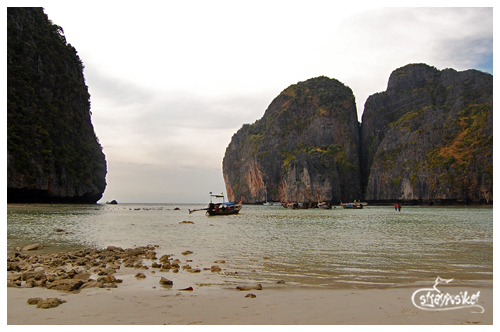 The tour would take 3 hours and would include Maya Bay. Luckily there weren't many boats docked when we arrived. We were there around 3pm. The day-trippers already left. 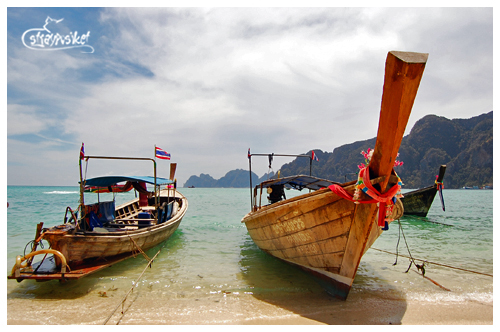 Maya bay is a shallow body of water enclosed in towering limestone cliffs of Phi Phi Ley. 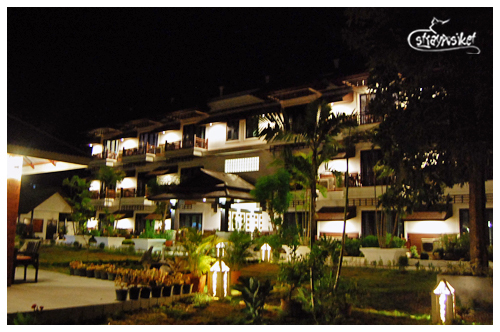 The beach is made up of white powdery sand. 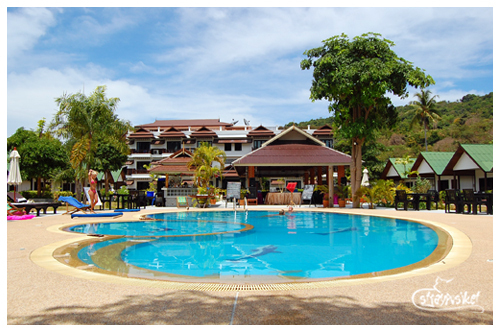 When we got back to the hotel, we swam in the pool for about an hour and ordered our dinner in advance so they can prepare for it while we get ourselves dressed. After dinner, we went back to the village to check out some souvenirs. We met a fellow Filipino with his Thai wife. He is based in Bangkok.